The Summerfest is a June event, full of attractions for the family to join in and have some “summer fun”. To found out more, join the business fair or volunteer at the event, CLICK HERE. Celebrate our Independence Day with Villa Park. The parade steps off at 12:00pm with a 2 mile route through the streets of Villa Park. Visit the VFW Post 2801 website for more information about participating and further information about the route, CLICK HERE. This annual event in August, is a great time to enjoy the last days of summer with some good ole’ friends, family and ice cream! Hosted by the Villa Park Historical Society & the Preservation Commission. 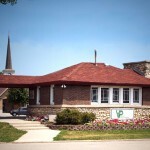 The Villa Park Historical Society operates the historical museum, visitor center and research center for Villa Park. Visit the Villa Park Historical Society’s Facebook page to keep up to date with information on the Ice Cream Social, CLICK HERE. The Ruggard gazebo is the hub of many events in the Villa Park community. Stop by the gazebo during Joyful Traditions, the 4th of the July Parade, Summerfest, Kiwanis Concerts in the Park, and so many other events. The gazebo is conveniently located next the the Villa Park Chamber of Commerce office. To view the location, CLICK HERE. Villa Park is unique iis unique in that it has 3 trails that trek through the town for bikers and walkers alike. This outdoor winter family fest is a FREE Event hosted by members of the Villa Park Chamber of Commerce. in partnership with the Village of Villa Park, and Centered around the Ruggard Gazebo at Park Blvd & Ardmore, in Villa Park, IL. Join us for photos with Santa, hot cocoa, some tasty treats from the locals, restaurants, Horse Wagon and Trolley Rides , Strolling carolers from Willowbrook High School, Smore's and more! . Dress appropriately, this event takes place rain or shine…cold or not. 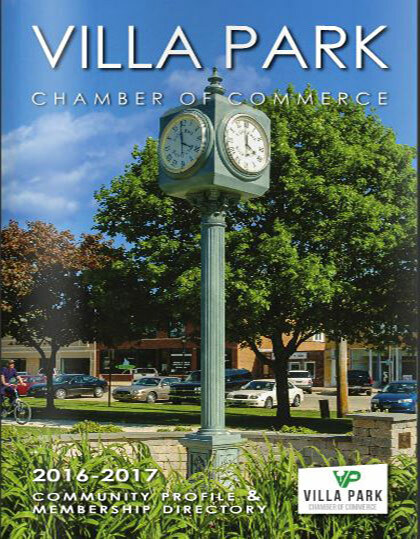 Visit Villa Park Chamber of Commerce’s Facebook page to stay up to date on all our community events, CLICK HERE. 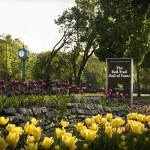 The golf course is located at 500 E. Van Buren, Villa Park, IL. Sugar Creek is a 9-hole par 32 course. They have a driving range, pro shop and tournaments, amenities needed to strengthen your swing. The Golf Course also has a banquet facility for party rental. Visit their website for more information, CLICK HERE. The Odeum Expo Center welcomes 1.2 million visitors each year into Villa Park and the Chicagoland area for trade shows, banquets, concerts, sports, and corporate events of all kinds. Family-owned and operated, and celebrating 35 years in 2016, the 130,000 square foot Odeum is renowned for its annual Fall and Spring Arts & Crafts Festivals, indoor soccer leagues, haunted houses, and so many other events. CLICK HERE to check out all the Odeum events that happen all year long!